This vector set features the unique symbols and illustration of Athens of Greece. 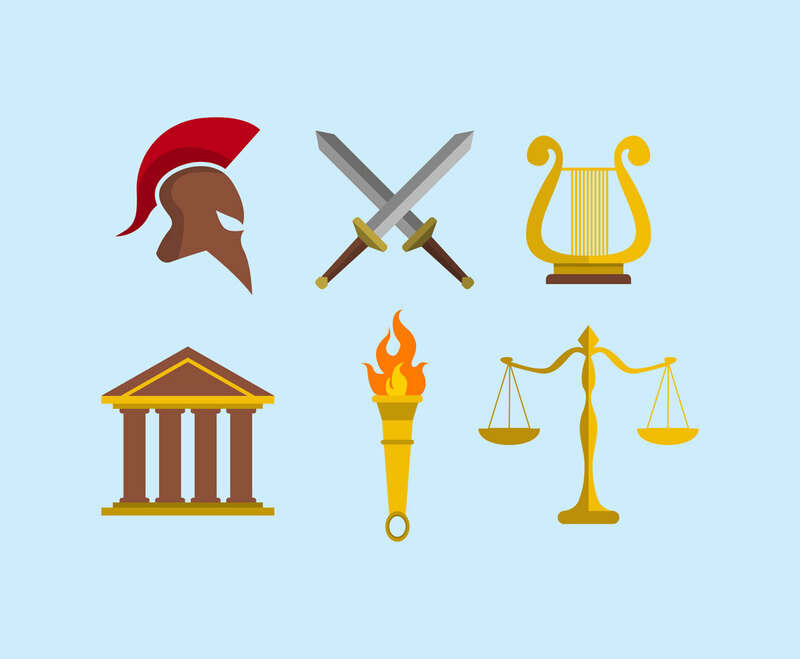 Inside the folder set you will find a Corinthian warrior helmet, a pair of swords, a harp, a Parthenon building symbol, a torch and a scale of justice symbol. You'll find it useful to use them as part of your Athens historical infography or some educational poster related to the ancient Greece culture.